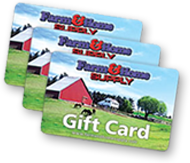 Beautify your lawn and garden by shopping at Farm & Home Supply. Browse our lawn care collection to find equipment for landscaping, firewood prep, caring for your home garden and pest control. Some of our landscaping equipment includes lawn mowers, hedge trimmers and edgers for those hard-to-reach spots on your lawn. Keep your garden fresh and productive with our tillers and cultivators. Our log-splitters will ensure endless bundles of firewood. You can also keep your patio and driveway clean with leaf blowers and pressure washers. Our hand tools for gardening and landscaping include wheelbarrows, garden carts, shovels, rakes and chainsaws, making for a truly one-stop shopping experience. Keep your lawn mowed and your grass at a nice height with one of our lawn mowers. We carry both push mowers and riding mowers, depending on the size of your lawn. Clean up the edges around your driveway and patio with trimmers and edgers as well as Stihl power equipment. Hedge trimmers can also help you sculpt your hedges. If you prefer to use hand tools, take a look at our tools and landscaping selection. There you'll find hoses, spreaders, wheelbarrows and pond dye. Prepare for winter by cutting down firewood with one of our log splitters. You can also use one of our power chainsaws. Begin a gorgeous garden by preparing the soil with one of our tillers. Once the soil is prepped, you can shop our selection of plants, seeds, soils and fertilizers to get your garden started. We also carry plant food that helps plants grow along with fertilizers. Use a garden cart or wheelbarrow to wheel your gardening supplies around. You can also use our herbicides and insecticides to keep pests and weeds under control. Once your lawn and garden are made beautiful, you can decorate them with pieces from our lawn and garden décor section.